Heliguy was a key delivery partner in a world-first demonstration to test how drones and traditional aircraft can safely share the same airspace. The ground-breaking live-action scenarios were staged at Manchester Airport on Wednesday to offer a glimpse into ‘a new and exciting future’ of air-traffic management (ATM). 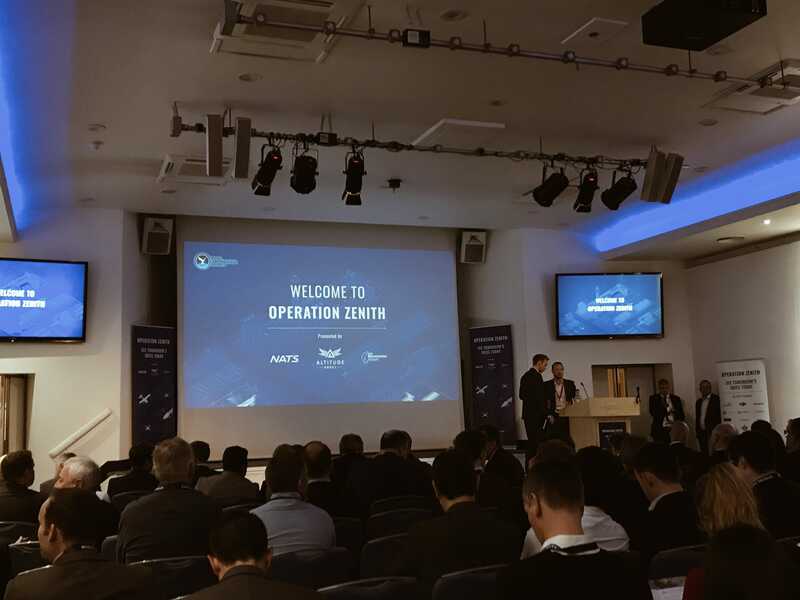 Codenamed Operation Zenith, the special event was led by aviation technology company Altitude Angel, as well as Manchester Airport and NATS – which provides safe and efficient air-traffic services and innovative solutions to UK and international airports, airlines and governments. 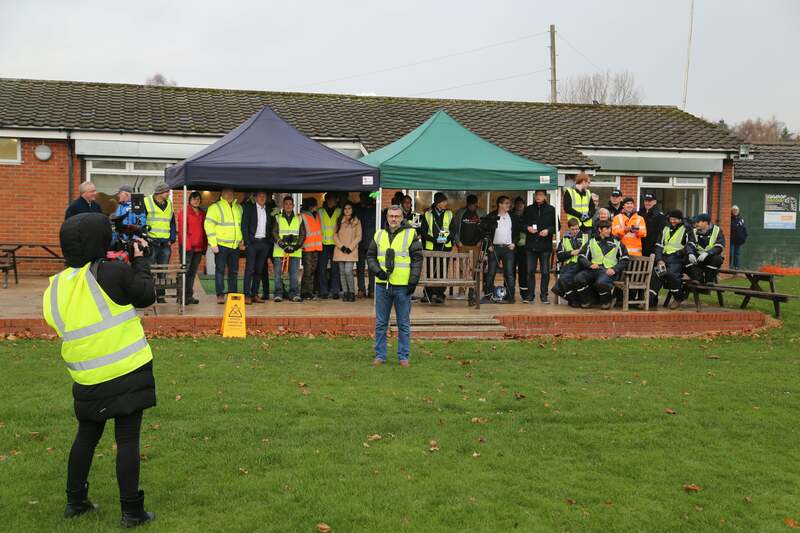 The event was supported by a series of government, industry and academic participants, including DJI, Vodafone, the National Police Air Service, DEFRA and North East England-based Heliguy. 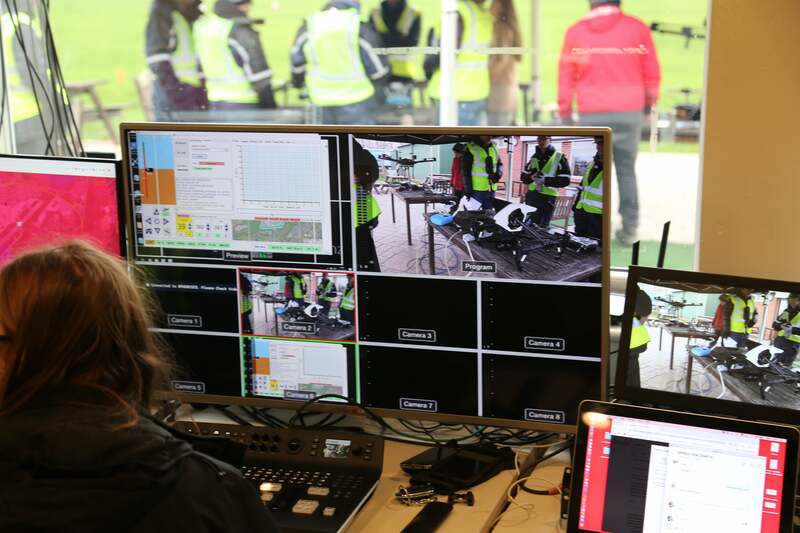 Eight demonstrations showcasing drones working in conjunction with traditional aircraft movements were played out at the airport and live-streamed to specially-invited guests at the Royal Aeronautical Society, in London. The event has been described as the first steps towards understanding some of the challenges and solutions of integrating drones into controlled airspace. Operation Zenith – where drones met more traditional aircraft. Heliguy was specially selected to support Chinese technology giant DJI with its AeroScope remote identification technology, which was used during Operation Zenith to demonstrate how it can be a key element in an unmanned traffic management (UTM) system that safely integrates drones and traditional aircraft into the same airspace. Heliguy is an AeroScope specialist and set up a G8 antenna for Wednesday’s demonstration. 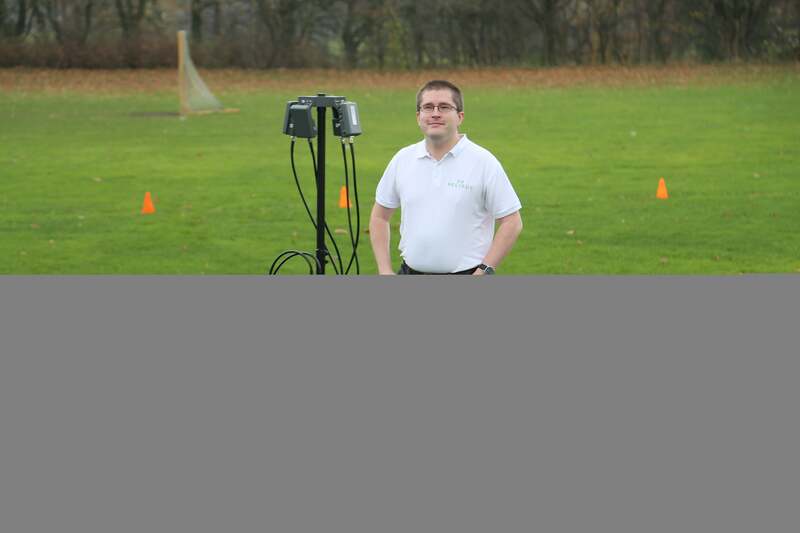 In simple terms, AeroScope monitors the movements of drones in a certain area in real time. It transmits basic information about the UAVs which are flying in its range, including serial number, speed, direction, home position and make and model. 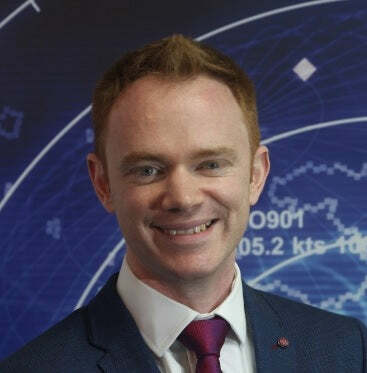 Kevin Morton, Heliguy’s head of technical works, said: “It was a massive coup and a fantastic opportunity for Heliguy to be involved with a lot of key players in the industry, such as Altitude Angel and NATS, to create this fantastic network of lots of different technologies to ensure the safety of UK airspace. Operation Zenith was the first step towards a new and exciting future involving the integration of manned and unmanned aviation. Heliguy’s Kevin Morton with the G8 antenna. 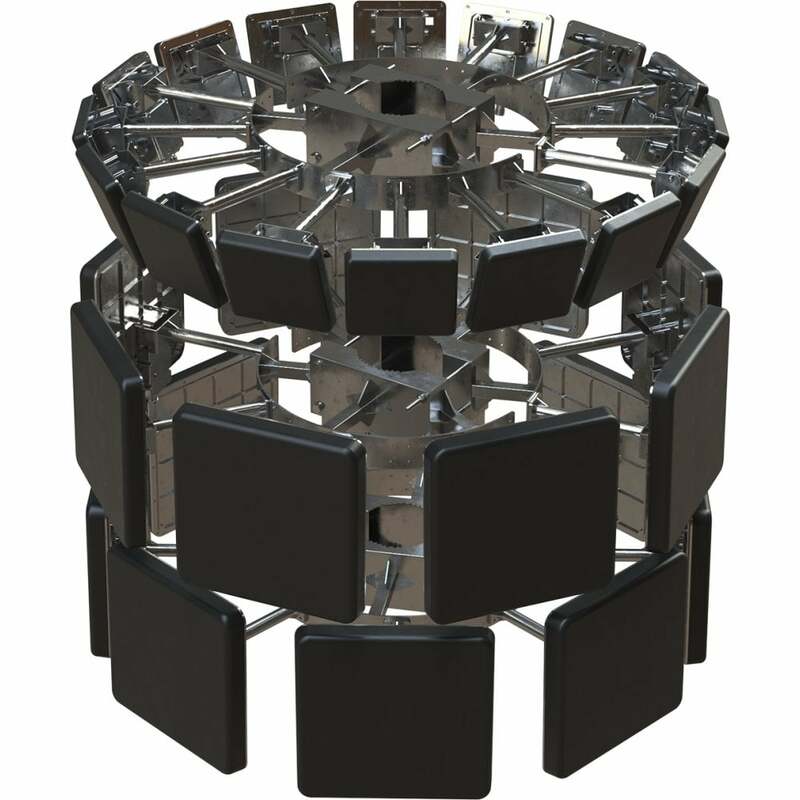 AeroScope is already in use at airports, major public arenas and large public gatherings around the world. 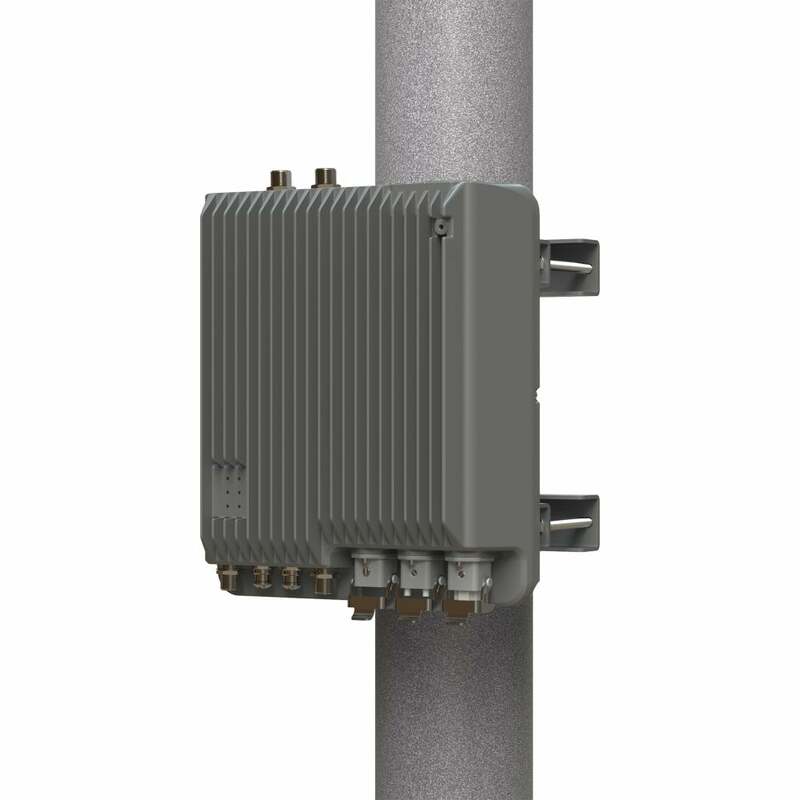 Because it receives signals directly from drones using their existing communications link, rather than relying on a wireless network or special transmitters, it is ideal for capturing critical airspace information for a UTM system to process. Brendan Schulman, DJI Vice President of Policy and Legal Affairs, said: “Wednesday’s test shows that DJI’s AeroScope can be a valuable part of a UTM system by monitoring and tracking airborne drones around sensitive locations, reliably and rapidly feeding that information to an integrated airspace manager, and enabling a flexible model that adapts instantly to new information about aerial operations. The event’s key players believe that no UTM solution is complete without the ability to integrate deeply and seamlessly into existing ATM systems and processes. The organisers also set out how cooperative and uncooperative drone traffic (and potential risks) could be detected and mitigated. The solution showcased on Wednesday is designed for deployment by Air Navigation Service Providers (ANSP) and provides a fully configurable, standards-compliant platform for ANSP use. It will be powered using Altitude Angel’s GuardianUTM Airspace Management Operating System O/S, a purpose-built platform which allows the secure data exchange between ATM systems and UTM providers and is designed for deployment at the national level by an ANSP or aviation authority. Mr Parker was delighted with how the GuardianUTM O/S performed at the demonstration, saying it ‘successfully managed a busy and complex airspace’ and it is ‘now the most fully-featured UTM system in existence, capable of acting as the vital middleware layer in the emerging drone ecosystem today’. 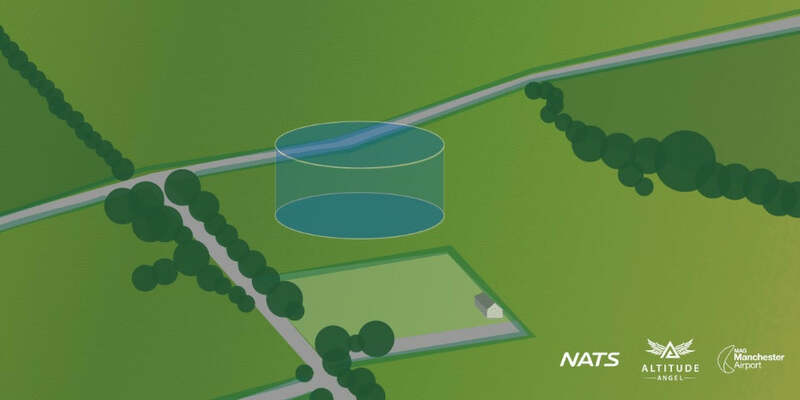 Realistic use of airspace: To date, most demos – particularly of beyond visual line of sight (BVLOS) operations – take place in segregated airspace. Operation Zenith wanted to show true integration, not doing anything different or special for the introduction of drone traffic in an otherwise sensitive area. This is why a busy, international airport was chosen. Featuring both cooperative and uncooperative traffic: Organisers believe that no UTM solution can be considered complete without due attention being given to the uncooperative airspace picture. That’s why GuardianUTM O/S has real capabilities to integrate and connect with numerous detection systems to properly cater for the threat and challenges posed by uncooperative unmanned traffic. A key reason for this is separation: The ability to ensure that a drone doesn’t cause any harm to other air traffic, especially manned aviation. Although various solutions have been proposed, these are often restricted to sensors on the drone or require participation from multiple manufacturers to adopt a common system of hardware which does not scale well or offer much room for innovation. Simon Newton, of On The Kitchen Table, who compered Operation Zenith, said: “This was the world’s first demonstration of integrating drones with manned aviation in a live, unsegregated airport setting. It was exciting. Simon Newton presenting at Operation Zenith. “It was a very important demonstration of how the future will pan out with commercial-use drones because for the industry to go anywhere there has got to be integration with commercial aircraft. 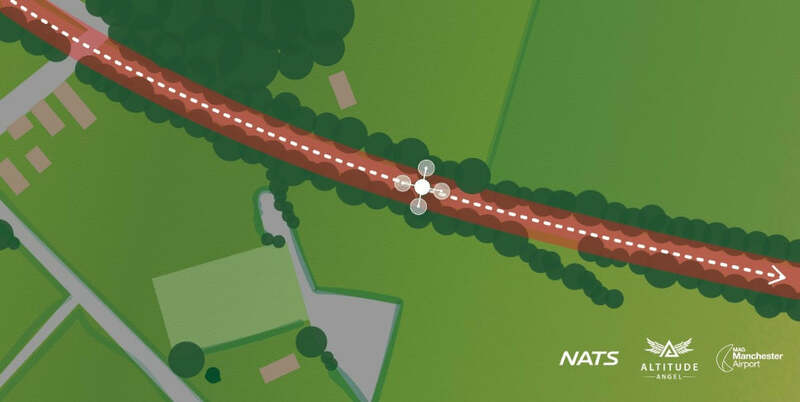 This scenario featured an on-airfield drone flight which crossed active traffic paths to deliver equipment having gained electronic flight approval via GuardianUTM from air traffic control (ATC). This scenario was designed to demonstrate the safe use of unmanned air vehicles to deliver parts or equipment without causing disruption in a busy, complex and dynamic airfield environment. Operation Zenith demonstrated the end-to-end process, including defining workflows for pre-approved operations, on-demand initiation, ATC approval and providing situational awareness. This featured a drone operator carrying out a remote inspection of the airfield runway threshold. The scenario was designed to demonstrate the end-to-end process, including defining workflows for pre-approved operations, on-demand initiation, ATC approval and providing situational awareness. 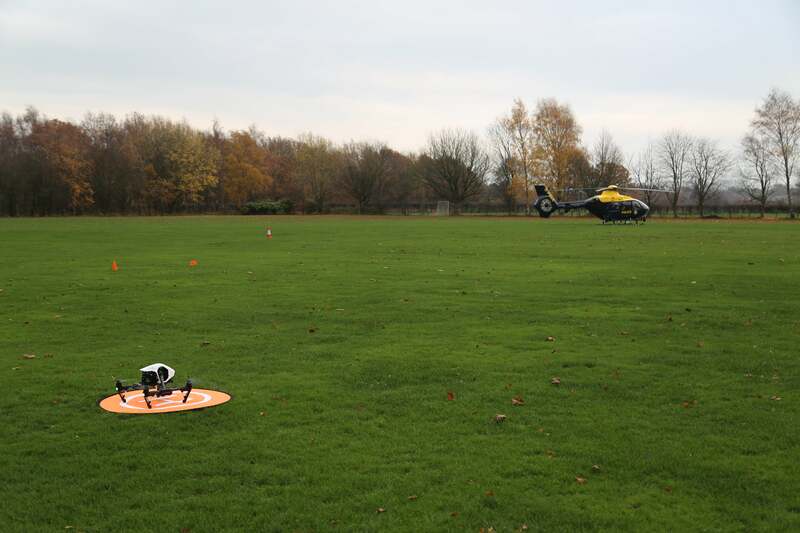 The BVLOS scenario featured a drone flight to carry out a railway-track inspection under BVLOS conditions within the Manchester Airport controlled zone (CTR). This scenario showcased a successful, safe drone flight following an effective flight planning and approval process and was designed to demonstrate ATC situational awareness, and de-confliction with other aircraft. Observers saw how the platform can be used to define approval workflows that enable and assist BVLOS operations while providing the situational awareness to ATC of nearby drone operations and movements necessary to provide a safe operating environment. As a commercial operation, it is vital that the crew has visibility of any factor that may affect or impede the flight. Such dynamic and fluid conditions need to be communicated to the drone pilot in sufficient time to mitigate any potential risks caused if the drone remains. Through a series of events, it was shown how GuardianUTM O/S and ATC procedures can forewarn an operator of a developing situation and suggest risk mitigations. The commercial user within visual line of sight (VLOS) scenario featured a commercial user flying a drone under VLOS conditions within Manchester Airport’s CTR. This scenario aimed to show how a user is able to use an app like Drone Assist to check air and ground hazards and use its fly-now function to allow other airspace users and an airport of their activities. The site survey within visual line of sight (VLOS) scenario featured an FRZ-approved drone flight to undertake a site survey under VLOS conditions within Manchester Airport’s flight restricted zone. The safeguarding scenario featured the detection of unauthorised drones as they enter a pre-identified section of airspace to test Operation Zenith’s safeguarding solution. This scenario was designed to demonstrate how a safeguarding solution can be effectively integrated into a common platform to allow ATC and other organisations to enhance the visibility of potential hazards while not restricting approved flights. Operation Zenith was designed to demonstrate the value of providing a complete, composite view of the airspace using a range of ATM and UTM sensory sources including radar, safeguarding, hook-on EC, and ground control station/autopilot connectivity. This scenario was designed to demonstrate that an airspace management tooling platform can successfully invoke an airspace restriction in a defined area and automatically disseminate actions to all active and affected unmanned traffic. A flourishing drone services ecosystem built atop GaurdianUTM O/S, deployed by NATS. Founder Richard Parker said: “Around airports and in busy, congested airspace there are real security, privacy and safety concerns, and GuardianUTM O/S demonstrated how it can be utilised in not just one – but eight, different, realistic scenarios ranging from airspace authorisation, through to advanced, automated de-confliction – the process of ensuring aircraft don’t meet each other at the same point and time in the air. “We are delighted that we were able to work with all our delivery partners who shared in our common vision that ANSPs around the world should look to encourage greater drone adoption and use, by deploying a national capability that fosters innovation and can truly create a fair and equitable foundation UTM system, and we wish to thank everyone involved, without whom, the demonstrations would not have been possible. “We are very pleased with the performance of GuardianUTM O/S, our airspace management solution, during Operation Zenith. Designed for deployment by ANSPs who want to offer the types of capabilities demonstrated on Wednesday, the software successfully managed a busy and complex airspace, fully-automated, during a series of scenarios designed to be representative of real-world situations that the industry hasn’t previously tackled. “We believe GuardianUTM O/S is now the most fully-featured UTM system in existence, capable of acting as the vital middleware layer in the emerging drone ecosystem today, bringing together aviation and technology stakeholders around core capabilities including registration and identity, automated decision-making, remote drone control, real-time communications, ATM integration and even rogue drone detection. Alastair Muir, NATS Safety Director, said: “Operation Zenith has been an outstanding success in bringing together the manned and unmanned aviation industry to shine a light on our vision for the future of aviation. 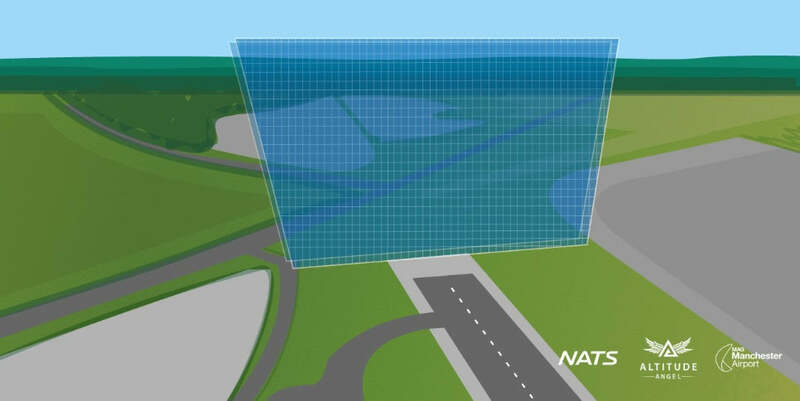 NATS is committed to working towards creating a foundation service to ensure the safe and efficient use of airspace. With more than 25 key players from across the aviation industry cooperating on this project, it has been possible for us to create a safe environment in which drones and commercial aircraft are able to co-exist safely in controlled airspace. “From distributing medicines to delivering parcels, investigating crash sites to inspecting industrial installations, drones have a great deal to offer and we believe that carving up the skies to offer commercial drones a slice of segregated airspace is not the answer. From our perspective, allowing visible UAVs safe access into controlled, integrated airspace is the best way forward, both for the drone industry itself and for aviation as a whole. He added that Operation Zenith provided him with the perfect opportunity to develop a better understanding of UTM in the Greater Manchester area. 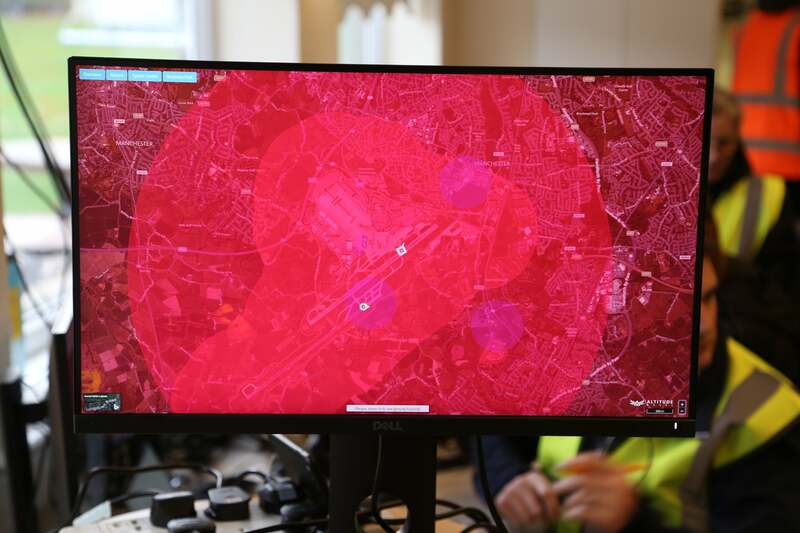 Chris Wild, Head of Airfield Operations at Manchester Airport, said: “We are delighted how the demonstration came together to showcase how manned and unmanned aviation can be undertaken collaboratively within controlled airspace. “Manchester Airport welcomes 28million passengers a year and handles over 200,000 air transport movements and therefore drone use, regulation and technological mitigation has been a real focus for us over the last few years. As an airport, we are fully supportive of cooperative drone operations and we are committed to influencing regulation and embracing new technology that allows piloted and unmanned aviation to take place in harmony.